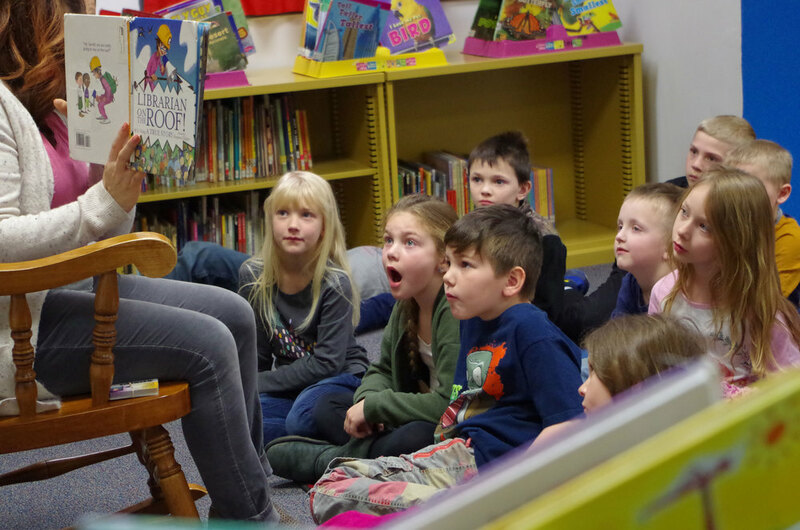 Wednesday, April 11, 2019 Early Childhood (EC) students patiently waited at the checkout line with their library cards in hand to check out a book and then took it back to a small table to eagerly thumb through pages until it was time to leave... Mrs. Hickman, the Pecatonica Elementary School Librarian, selected “LIBRARIAN ON THE ROOF!” for this week’s children’s book to read to classes in honor of National Library Week. The book is a true story of how a librarian sat on the roof of her public library for seven days to raise money for children’s books and resources. As Mrs. Hickman read to Mrs. Wanke’s 1st graders she explained that some libraries are for adults and some are for children. One first grader softly exclaimed, “Our ‘libarry’ is for children.” We are so fortunate to have a library in each school building and a public library in our little town. Have you visited a public library lately? What is your favorite public library and why?